Adventures can be completed in any order unless they are tied to a program date. Teams can choose which adventures they want to do or don't want to do. Most adventures can be done only once. Adventures that can be done more than once are so noted. Some adventures are worth more points. Remember to take a photo or video that includes a team member and your team flag as proof that your team completed an adventure! Read how to provide Proof, here. Spread the Word! New Team BONUS! Let's get fit with nature! Take your workout to the Parks! Show us how you use nature to get your fitness on. How can you use a bench or tree to workout? One workout per day. Hey! Is that another team!? When you see another team out in the parks, capture them by snapping a photo with them and your flags! You may only capture each team one time. Many of our parks have historical landmarks. Capture your team acting super silly and goofy at one of the landmarks. No repeat landmarks. Casa Grande and Bernal-Gulnac-Joice Ranch are great places to start! Take a hike, will ya!? Get out on the trails and take a hike! A hike of any length will do! Just get off the sidewalks and into wilderness! Different park locations are strongly encouraged. Please get his/her permission before you take a picture with a Staff member! You can do this many times, as long as it's park staff from different Santa Clara County Parks. Put the pedal to the trail! Ride your bikes off the sidewalks and onto the trails! Snap a photo of your team cruising down the County Parks trails, and don't forget your helmet! Different park locations are strongly encouraged. Capture (photograph) a child playing outdoors in any Santa Clara County Park. Don't have a child? Invite your friends and relatives who have them! They would have a blast! Capture a child discovering an element of nature in a Santa Clara County Park. Don't have children? Invite your friends and relatives who have them! They would have a blast! Santa Clara County Parks does not have a lake, reservoir or swimming pool in which to teach children how to swim. However, it's still a good thing to do. To qualify for these points you may submit a picture of a child swimming in any backyard swimming pool or authorized swimming facility. Don't have children? Invite your friends and relatives who have them! They would have a blast! Capture a child fishing in any Santa Clara County Park. Don't have children? Invite your friends and relatives who have them! They would have a blast! COBR - 5. Take to the trail! Capture a child hiking or biking on a trail in any Santa Clara County Park. Don't have children? Invite your friends and relatives who have them! They would have a blast! COBR - 6. Let's camp under the stars! Take a child camping at a Santa Clara County Park. Mt. Madonna, Sanborn, Joseph D. Grant, Coyote Lake Harvey Bear and Uvas Canyon County Parks all have camping available! Don't have children? Invite your friends and relatives who have them! They would have a blast! This adventure is subject to reservation confirmation. COBR - 7. Use those wheels! Capture a child riding a bike, roller skating, or roller blading on a designated path or trail in any Santa Clara County Park. Coyote Creek trail or Los Gatos Creek Trail are both great paved trails to do this!! Be safe and wear a helmet! Don't have children? Invite your friends and relatives who have them! They would have a blast! Take a child boating in any Santa Clara County Park that has a lake or reservoir. (kayaking, sailing, rowing, paddle boarding, motorboating). Check the Park's boating web page for current conditions and information. To count for points, the child must be photographed while using the watercraft. Don't have children? Invite your friends and relatives who have them! They would have a blast! COBR - 9. Learn from your past! Capture a child at an historic site/landmark in a Santa Clara County Park. You may also take your child to one of our Living History Days (see our program schedule). Hint: Casa Grande, Bernal Ranch, Chitactac-Adams or Joseph D. Grant are outstanding places to experience this adventure. Don't have children? Invite your friends and relatives who have them! They would have a blast! Complete All 10 California Children's Outdoor Bill of Rights (COBR) Activities in a Santa Clara County park. Submit one of the pictures from the COBR Adventures after completing all 10 to receive this bonus! Have a great time and frolic in any Santa Clara County Park. Great creative and skip, run, twirl, and jump! Capture yourselves taking a scenic photograph. A Yurt is a semi-permanent tent with origins tracing back to Central Asia. And, they're round. Find one at Mt. Madonna! For this adventure to count, your team must be photographed camping inside of the yurt. This adventure is subject to reservation confirmation. Take a picture of Vasona dam. Oh tree, you're the best! It gives you oxygen, how cool is that!? Say thanks by giving one a nice big hug! Go orienteering, using a map and compass. Go to Vasona Park, and look at the information board next to the playground for an orienteering challenge! Don't blink, or you'll miss the lizards! They're quick little guys. A teammate with flag and the lizard need to be in the shot. Treat him kindly! Take a photo with your Team and a bird at any County Park. Dr. Seuss would encourage you. Be sure it is at a Mt. Madonna Yurt! Please be aware there may be campers inside, so please ask first. Be creative and do a video! Demonstrate an outdoor first aid skill. You can demonstrate the skill on a team mate! A great way to begin any County Parks experience. You're never too old for this game. Find some friends and see who gets tagged "it" the most! This is such a fun way to take ten years off your life! Music and nature, what a wonderful pairing! Bring an instrument to the park and serenade your team! The fellow park goers will appreciate it too! Snap a photo of at least one team member playing an instrument, and don't forget that team flag! Take a look here to find more information on volunteering opportunities. 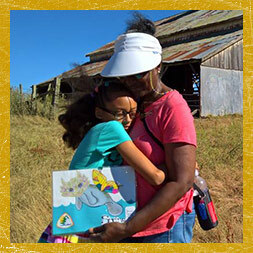 This is a great way to learn about Santa Clara County history and our connection to the California Gold Rush!! Visit Chitactac-Adams County Park and learn about the history of Native Americans in Santa Clara County. "Let's go fly a kite, up to the highest heights... Up through the atmosphere, up where the air is clear! Oh let's go fly a kite!" Vasona, Ed Levin and Hellyer County Parks have great areas to fly kites! Capture your Team with a hang glider flying through the air. You don't have to be on the hang glider, but your flag needs to be in the shot (hold it up to the sky!). Ed R. Levin County Park is the place to find them. Any walk at a County Park will do. Just strut your stuff and stretch those legs! Whip out those mountain bikes! Luckily they don't move very quickly. Position your Team and flag in the photo without picking up the slug. Your best bet to find one would be at Sanborn, Uvas Canyon or Mt. Madonna. Bring a kid to any one of the kid-focused Play Here programs and take a photo with park staff. Snap a photo of a squirrel. It's got to be free ranging, so shoot quick! And make sure it is in a Santa Clara County Park!! There are GREAT walk-in campgrounds here and so close to home! Take a photo of you and your Team overnight camping. This adventure is subject to reservation confirmation. Receive 20 points if your Team stops by the Santa Clara County Animal Shelter with a toy for a Cat or Dog in need. Snap a photo with your team, flag, and your gift for an animal in need at the shelter. Grass is like a nature-made mattress! Lay on a lawn at a county park. How easy is that!? Coast live oak or valley oak leaves? Do you know the difference? Look at page 8 of the Jr. Ranger Discovery Guide to know the difference and take a picture of you and your Team in front of a California live oak tree. Hike to the top of Anderson Lake dam by taking the Serpentine Trail from the base. It's a steep one but you will be at the top before you know it. Pace yourself! Shoot an arrow at an archery range using a traditional, recurve or compound bow. Must be at archery ranges at Santa Teresa, Stevens Creek, or Mount Madonna County Park. Snap a photo of your team and flag crossing a stream! But please use caution and don't cross streams that look unsafe to do so! Participate in any REI Outdoor School program. They've got classes in outdoor fitness, paddling, cycling, climbing, hiking, photography, navigation, wilderness and snowsport. Watch for announcements on our Facebook page. No duplication classes will be accepted and you must capture your team at the class with your flag. Capture your team attempting to catch a fish at any county reservoir. *Ages 16 and older must have a fishing license. Get a picture of your Team and a Redwood tree located inside a Santa Clara County Park. Sanborn, Mt. Madonna, Vasona, and Upper Stevens Creek County Parks all have Redwood trees in the park. Take a hike on the Enriquita Trail at Almaden Quicksilver County Park and visit the Providencia Pond! Snap a photo of your team and flag with the pond in the background. Use the park map to navigate yourself to the pond. Hike through Joseph D. Grant County Park and enjoy McCreery Lake! Snap a picture with your Team and flag with McCreery Lake in the background. Take a walk, run, or ride on the Coyote Creek Trail with your Team! This trail connects Hellyer County Park in South San Jose with Anderson Lake County Park in Morgan Hill. The trail is 15 Miles in length and paved. Take a picture with your Team and flag at any location along the trail. Visit the Washburn Barn on a Hike! Take a hike on the Washburn Trail at Joseph D. Grant County Park and stop at the Washburn Barn to take a picture with your flag and Team! Caution: There are posted "No Parking" signs near the barn. Park at your own risk. The trailhead and trail for this site is a mile up the road. Hike in Almaden Quicksilver County Park on the Senador Mine Trail to visit the Senador Mine! Make sure to get a picture of your Team and flag with the Senador Mine. Explore a small part of New Almaden history at Almaden Quicksilver County Park by taking a hike on the Castillero Trail to visit English Camp. Take a picture with your Team and flag before or after learning something on the information board! Take an easy hike along Skyline Trail at Sanborn County Park and see Indian Rock. Take a picture at Indian Rock with your Team and flag! Take a video of your team racing each other! It can be just a short sprint down a paved path, but make sure we can see your team flag! Hold it up high or pin it to your shirt! Hike the Woods Road Trail and visit the Rotary Furnace at Almaden Quicksilver County Park! Take a picture of the Furnace with your Team and flag. Go see the Giant Twins! Visit Mt. Madonna County Park and see the Giant Twins Redwood Trees. Snap a picture of the trees with your Team and flag! Hike on the Dutch Flat Trail and visit the Scenic View stop. Use the park map to visit the location and take a picture with your Team and flag with the view in the background! Visit Calero County Park and take a hike on the Serpentine Loop Trail to visit Fish Camp. Take a picture with the pond, Team, and flag to get points! Take a walk, run, or ride on the Los Gatos Creek Trail. This is a paved multi-use trail that goes from Lexington Reservoir all the way to Campbell. Take a picture along the trail with your Team and flag to receive points! Visit the April Tunnel at Almaden Quicksilver County Park while hiking on the April Trail. Make sure to get a picture with your Team, flag, and the tunnel during your hike! It's kind of hard to locate, so if you take a photo with the trestle or the interpretive panel nearby, this will work, too! Visit the Catherine Tunnel at Almaden Quicksilver County Park off the Mine Hill Trail. Take a picture with your Team and flag at the Catherine Tunnel to receive points! Visit the two Tunnels for a bonus!! 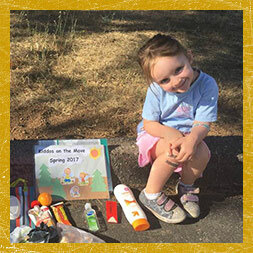 Visit both Catherine Tunnel and April Tunnel at Almaden Quicksilver County Park and get a bonus! Hike on the Antler Point Trail at Joseph D. Grant County Park. This Trail will take some time to hike so plan accordingly and take water! Use the park map to find the best route and enjoy the hike! Take a picture with your Team and flag on the trail to receive points! Find a branch that is as tall as you or even taller! Snap a photo of your team and flag with the branch to receive points. But please do not break branches off trees. Enjoy Villa Montalvo's trails by hiking up Lookout Trail to the scenic overview of the Santa Clara Valley. Take a picture of your Team and flag with the view in the background! Visit Eagle Lake in the vast Joseph D. Grant County Park on the Hotel Trail. Be sure to use the Park map to navigate to the lake and enjoy the hike with your Team. Submit a picture of the lake, Team, and your flag for points! Make sure to bring water and possibly a snack during your hike! Find a bird's nest in any County park and hold your flag up so it is in your picture. Please do not disturb the nests, those are the bird's homes! Use the Lower Hotel Trail to visit the Circle Corral at Joseph D. Grant County Park. Use the Trail map to navigate and bring water for your hike! Visit the historic powder house at Almaden Quicksilver County Park. Hike on the Mine Hill Trail to get to this historical spot and take a picture there with your Team and flag! Use the Cottle Trail and take a picture of Calero Dam in the background with your Team and flag on this adventure for points! Bring water and enjoy the view of the Calero Lake from another perspective! If you are visiting Almaden Quicksilver County Park, hike the Mine Hill Trail and stop by the San Cristobal Mine. Take a picture of the mine with your Team and flag to receive points! Take water and a small snack on your hike, and use the park trail map to navigate your way to this location! Enjoy Santa Clara County Parks' equestrian friendly trails!! Use the activity search tools on the park finder web page to find parks with equestrian trails. Don't have a horse? HORSE RENTALS available through neighboring private concessionaires at Mt. Madonna and Ed Levin Parks. Links provided on those park web pages. Take your four-legged friend (or invite a friend with a dog!) to any one of our Off-Leash Dog Parks. You are more than welcome to visit the park without a dog, but in order to receive points you must take a photo of your team, flag, and a doggy you brought to the park. Hike in Santa Teresa County Park up to Coyote Peak on the Coyote Peak Trail! Take a picture with your Team and flag at the peak for points. Be sure to bring water on your hike, or ride!! Take a photo of your Team using binoculars to take in a scenic view! Spot a wildlife footprint on a trail in one of our County Parks. Take care in locating one. Doggy paws don't qualify! Check out pages 18-19 in our Jr. Ranger Discovery Guide for visuals of animal tracks. Hug your dog on a log! Just minutes away from Gilroy! While you are camping there, gain more points by finding more adventures in the Parks for Life Challenge. This adventure is subject to reservation confirmation. Calling you to get outside and get healthy! Take the Joice/Norred Trail at Santa Teresa. It's an easy 1.8 mile (out & back) trail. Once you reach the top you will see outstanding views of south San Jose all the way north to San Francisco. Petroglyphs are rock carvings left by Native Americans. These can be found by visting Chitactac-Adams Park and going on a self-guided interpretive walk. Take a photo of your Team next to one of them. Thank the Rain Gods in a dance! Thank goodness, we got some great rain this year! The lakes are filled, the grass is green, and the animals are nourished! Take a picture or video of you doing a thankful rain dance in any one of our County Parks! The new QR F.I.T. Trail system is on the Martin Murphy Trail at Coyote Lake-Harvey Bear Ranch Park. Download this free app and get your fitness on while walking on this 2-mile loop trail. Take a photo of your Team exercising on this trail. We have golf courses at Ed Levin and Santa Teresa County Parks. Take a photo of your Team trying a round of golf at one or both of our golf courses. Visit the Santa Teresa Golf Course driving range and practice your golf swing. Take a picture or video of your Team and flag practicing their swing at the range to earn points!! Hey! Where did you go!? Take a video of your team playing hide and go seek! Decide beforehand what the parameters are, and make sure we can see that team flag! Find something in nature that resembles a heart! Why Do you Love SCC Parks? 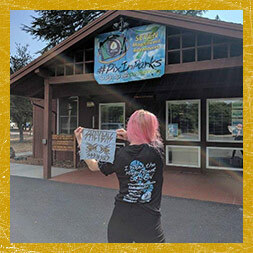 Take a video your Team with your Team flag on why you love Santa Clara County Parks! The video Challenge must contain 3 points: (1)Why you love Santa Clara County Parks, (2)Which park is your favorite and (3)What is your favorite thing to do there. Video must be recorded at your favorite County Park. Why do you love the Parks for Life Challenge? Record a video of your team telling us why you love playing the Parks for Life Challenge! Make sure you are holding your flag! Video must be recorded in one of our County parks. Visit the Love Temple at Villa Montalvo and take a photo of your Team and Team flag with one of the figures on the sculpture. See if you can match his expression! You can smell it, but can you find it? Take a photo with a California Bay Laurel Tree. Sniff a leaf to make sure you have the right tree! See the Jr. Ranger Discovery Guide on page 8 to see what these leaves look like. Lay a blanket down in any one of our Santa Clara County Parks and have a healthy picnic with your friends/family. What does that cloud look like? Write a Haiku about the outdoors. Hold it up to the camera with your flag. Better yet, say it in a video! Go geocaching. It's a fun way to explore the outdoors. Find out how by visiting REI Expert Advice. Show us the goodies you find with your flag for points! Just head out the backdoor, pitch a tent or roll out your bag on the lawn and spend the night outdoors. So what do YOU bring a on a day hike? Check out REI's list of day hiking essentials and then show us a photo of your packed backpack ready to go on one of our many adventures in Santa Clara County Parks. Don't forget, have your Team and flag in your photo! Close your eyes, relax, feel the nature and find your Zen while doing a yoga pose in any one of our County Parks. One pose per day. Make a paper plane, hike to the highest point of the park and take a video of your Team soaring it through the air! Make sure you send it in the direction of an open field so that you can safely retrieve it afterwards. Show us a video of your best frog impression! Crouch down with your hands to the ground and leap! Don't forget that team flag! Capture two Team members (someone else can take the photo or video on two-person Teams) dancing the tango, outdoor at any County Park. Compete in a three-legged or a sack race in any County Park. Vasona, Los Gatos Creek, Ed Levin, Hellyer or Penentencia Creek park all have great lawns for these games. Your team needs to have their flag when they compete! Capture anyone wearing camouflage in our County Parks! This is way more fun than video games! Show us what kinds of games you play at the park! Bring along a jump rope, wiffle ball, Velcro ball and catching disk, badminton set, disk toss, bocce ball, or whatever else you can think of! Go out into one of our County Parks and create an art piece with nature. Use leaves, branches, rocks, or any pieces of nature to create anything you want! Be creative and enjoy your time outdoors! Maybe a Team member can be a part of your art piece! Be sure to follow the rules and get a picture with your art piece, a Team member, and your flag to get points. Show us your theatrical skills on any one of our County Park Amphitheatres. You can find them at Mount Madonna, Uvas Canyon, Coyote Lake, Joseph D. Grant and Sanborn. This parasitic plant grows on Oak trees and can be found in a lot of our Santa Clara County Parks. Can you name this plant? Take a photo of your Team and flag under this popular plant AND tree (smooching a loved one). Must be in a County Park and please do not remove any plant life from any tree. Show us your best drawing of your favorite wild animal! This adventure does not need to be completed at a Park, but please hold up your team flag with your drawing in your photo. Take a photo of a beautiful or interesting view. Include where/which park it is taken from. You don't need a Team member or flag in this one. Different parks strongly encouraged. There are a number of foot bridges in Santa Clara County Parks. For example, the Tony Look Trail at Stevens Creek and the Waterfall Loop Trail at Uvas Canyon. Take a photo or video of your Team member and flag crossing them. Half of the perimeter trail at Martial Cottle County Park is OPEN! Enjoy a leisure walk on a paved trail. This new park is open from sunrise to sunset. What is your favorite ball sport? Go to a Santa Clara County Park and play around on any field with your Team members. Golf? Baseball? Soccer? Football? You choose. Points only count if it is a video and only ONE PER DAY! Poison oak is out there in our parks, lurking along the trails. It's good to be able to identify it. Take a picture of this plant with your team and flag, but be careful not to touch it! Show children the importance of poetry and nature by reading a poem out loud to them in our beautiful Santa Clara County Parks. Or better yet, have them read to you! Venture out and take a video of a child reciting a poem or of a team member reciting to a child. While you are there, contemplate the stillness, or just hold hands with your beloved ones at your favorite park spot. Poetry and nature are true companions and have been since the beginning of time. Find a nice shady spot near a stream, or a sunny perch on a mountain top, wander deep into the forest to contemplate the stillness, or just hold hands with your beloved (team member) at your favorite park spot. Take a video of your Team reading a poem out loud to the trees, the sky, the squirrels or birds. Have fun! 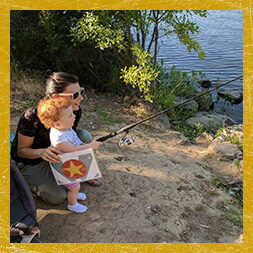 Find the fishing pier at Vasona Lake and take a picture with your Team and flag. Whether they are your grandparents, friends or neighbors invite an elder out to a leisure walk in the beautiful outdoors. There are many easy and ADA accessible trails if needed. Please take this opportunity to share the parks with your elderly friends and family, and do not snap a photo of someone you do not know. As the saying goes, "Leave the place cleaner than when you found it." Lead by example by picking up trash on a trail or near a waterway. 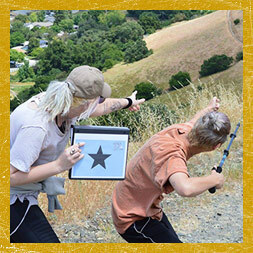 Bring a bag with you on your next adventure and be sure to take a photo of your Team and flag beautifying our Santa Clara County Park System. Don't get too dizzy! Snap a photo of someone on your team doing a somersault! Your team flag can be on the ground in front of them. Snap a photo of someone in your group playing this classic clapping game with a fellow team member, a ranger, anyone! Your flag must be visible somewhere in the photo, so be creative! Snap a photo of a team mate on a tree stump. Mt. Madonna has a bunch of stumps! Be careful to stay on trails! Snap a photo of your teams hiking footwear. Only your flag needs to be present. Check out this beautiful 9,540 acre park! Better yet, go camping here! This adventure is subject to reservation confirmation. This is a great campground overlooking Coyote Lake in the beautiful mountains of Gilroy. This adventure is subject to reservation confirmation. Find three (3) geocaches hidden in beautiful Coyote Creek Parkway using a GPS or mobile device. Lots of Geocaches can be found at Geocaching.com. Find three (3) geocaches hidden at Steven's Creek Park using a GPS or mobile device. Lots of Geocaches can be found at Geocaching.com. Find Two (2) geocaches hidden at Ed Levin Park using a GPS or mobile device. Lots of Geocaches can be found at Geocaching.com. Find three (3) geocaches hidden around the beautiful Mt. Madonna Park using a GPS or mobile device. Lots of geocaches can be found at Geocaching.com. Snap a photo of your team in a park phone booth. Find something that begins with the letter 'P' in our parks. Find two (or more) animals hanging out together in our parks. Find a tree in any one of our parks and Identify it! Complete all 5 scavenger hunt adventures and win an additional 10 points! Simply re-post one of your scavenger hunt photos for the bonus points. Let's spend less time at the mall and more time at the park! REI has challenged us all to #OptOutside and enjoy what Mother Nature has given us! So dust off those hiking boots and cameras and get out to a County Park with your team and flag! Trust us, the mall will still be there when you're done. Take a photo of you on any adventure and #OptOutside on your social media site. Snap a photo of your team and flag at the old Reduction Works Yard. This yard contains a collection of equipment from the New Almaden Mine and the Guadalupe Mine. Snap a photo of your team and flag at the observation deck. Snap a photo of your team and flag at Anderson Dam. Snap a photo with your team and flag with the reservoir in the background. Snap a photo of your team and flag at the interpretive shelter. Snap a photo of your team and flag in front of the Parkway Lakes. Snap a photo of your team and flag at the Coyote Dam. Snap a photo with your team and flag at the Laguna Cemetery gates. The cemetery can be found at the Spring Valley area. Snap a photo with your team and flag at the entrance to the Field Sports Range. Snap a photo with your team and flag at Cottonwood Lake. Snap a photo with your team and flag at the historic rose garden near the Ranch House Complex. Snap a photo with your team and flag at Miller Point. Los Gatos Creek has 6 ponds, and ponds 3-6 are wildlife preserves. Snap a photo of your team and flag at one of the wildlife preserve ponds. Snap a photo of your team and flag with someone riding on one of the tracks behind you. Please remember that the park is closed every Tuesday and Wednesday. Visit the Sprig Recreation Area at Mount Madonna County Park! Take a picture with your Team and flag at a trailhead sign to receive points for this adventure! Snap a photo of your team and flag at Deer Hollow Farm. Snap a photo of your team and flag at the beginning of the Lake Ranch Trail. Snap a photo of your team and flag at the Santa Teresa Spring. Snap a photo of your team and flag with the Steven’s Creek Reservoir behind you. Snap a photo of your team and flag at the playground. Snap a photo of your team and flag at any of the signs for the Grizzly Flat Trail. Snap a photo of your team and flag with Uvas Dam behind you. Snap a photo with the island in the middle of the lake behind you. If you can't take a paddle boat to get up close, no problem! There are many spots on the trail along the lake where you can stand. Snap a photo of your team and flag along the Poet’s Walk. Complete all 28 PICTURES WITH THEM ALL adventures to receive an additional 100 points! You may take a new photo or re-submit a duplicate photo from one of the previous pictures with them all photos. The Magnificent 7 hike at Coyote ​Lake ​Harvey ​Bear ​Ranch has been removed due to a duplicate posting. Please refer to Adventure #219. New Adventure coming soon! Do you know about the native trees? Recorded a video of your team member(s) identifying 1 out of the 5 Riparian (water environment) Habitat trees listed in page 8 of the Junior Ranger Discovery Guide. The tree, team member(s) and flag all must be in the video. You must also give us some information on the tree like its scientific name (pronounce as best as possible), common name, where it can be found, etc. Be creative! Stay away from those legs! Show us your best kick! It can be a karate kick, a dancing kick, whatever kick you like best! Take a video of your kick or snap a photo of your leg held high! Reach, reach, reach for the sky! Take a video of your team jumping as high as they can for 10 seconds! Even if it is just little jumps, we want to see you reach up, up, up! Nope, you don't need to swim or cycle, just show us how you do your own triathlon! A triathlon is a multi-step competition with 3 steps that flow into each other with no pause. For example, you can make a triathlon that consists of: sprinting 20 feet, jumping rope 15 times, and bouncing a ball 15 times. Whatever you decide to incorporate into your triathlon, we want to see a video of your team completing it! Find a park bench or fallen log and snap a photo of your team being “benched.” Stand, sit, lay down, have fun on the bench! Let's Celebrate Those Stars and Stripes! Show us how you celebrate the Fourth of July! Do you have a BBQ with family? Do you wear patriotic clothes? Show us how you celebrate at one of our County Parks, and please also EXPLAIN in your photo description. Happy Independence Day! Show us how you play with water in our Santa Clara County Parks! You may use water squirters on the lawns, go boating, go fishing...use your imagination! Santa Teresa; Saturday, July 28; 8am-10am & 10:30am-12:30pm. (Choose and register for 1 time). Join the Black Mountain Bowmen to learn how to shoot a compound or recurve bow, fletch arrows, and make a bow string. Ages 6 and up with parent. $5 fee. A mandatory safety class and equipment are provided by Predator's Archery. Bring water, snacks, and sun protection. Reservations online or (408) 355-2201. This time senstive adventure must be completed and submitted on Father's Day (Sunday, June 17). Take your Dad, or any Dad you know, on an adventure in a Santa Clara County Park. Or, if you are a Dad yourself, take your family on an adventure at one of our Parks! Martial Cottle; Saturday, June 16 & July 21; 9am-12pm. (Choose 1 day). Explore the gardens, attend a workshop, or tour the Master Gardener Parcel. Learn from youth 4-H members about their livestock animals. Purchase and learn to plant native and drought-tolerant trees and shrubs, or take a Lawn Conversion Workshop from Our City Forest. Partner parcels are located near Chynoweth Ave. Questions? (408) 535-4060. Foster an adoptable dog from the Santa Clara County Animal Shelter for the day/weekend and take it on a hike in our County Parks! To receive points for this challenge you must take a photo of your team member(s) and flag with the dog wearing the ADOPT ME vest or bandana provided by Santa Clara County Animal Shelter in one of our County Parks. Please follow all park rules, and Santa Clara County Animal Shelter rules while fostering for the day/weekend. Follow link for more information. Transform your team into agents of discovery! Download the Agents of Discovery app and complete the Vasona Lake County Park Mission. For this challenge create a picture collage of at least one photo of your team and flag playing the game and another photo of a screen shot of the app showing all challenges completed on the top right. Don’t forget to create an account to save your completed challenges!